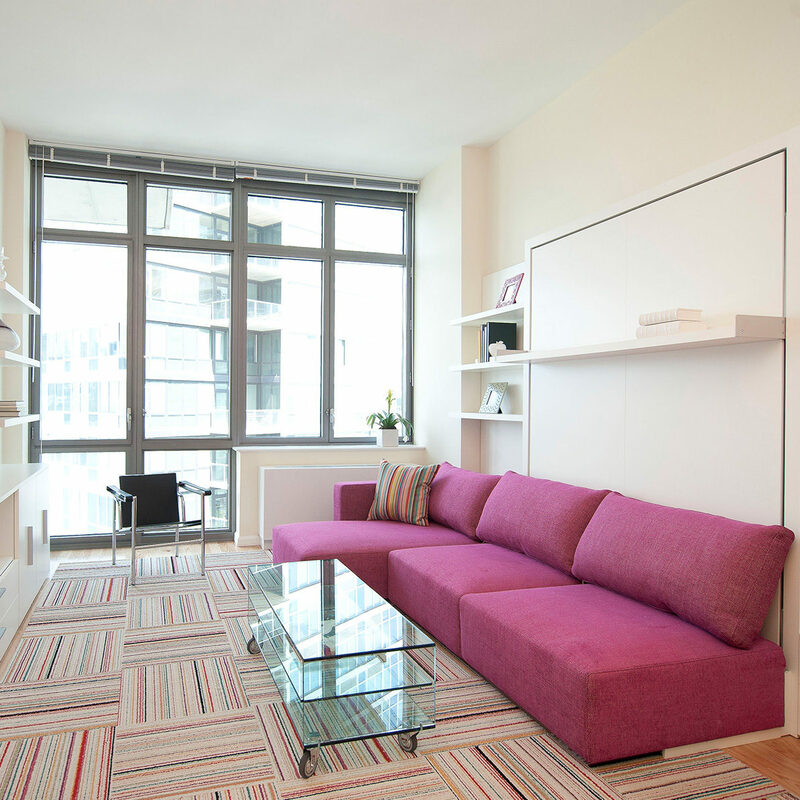 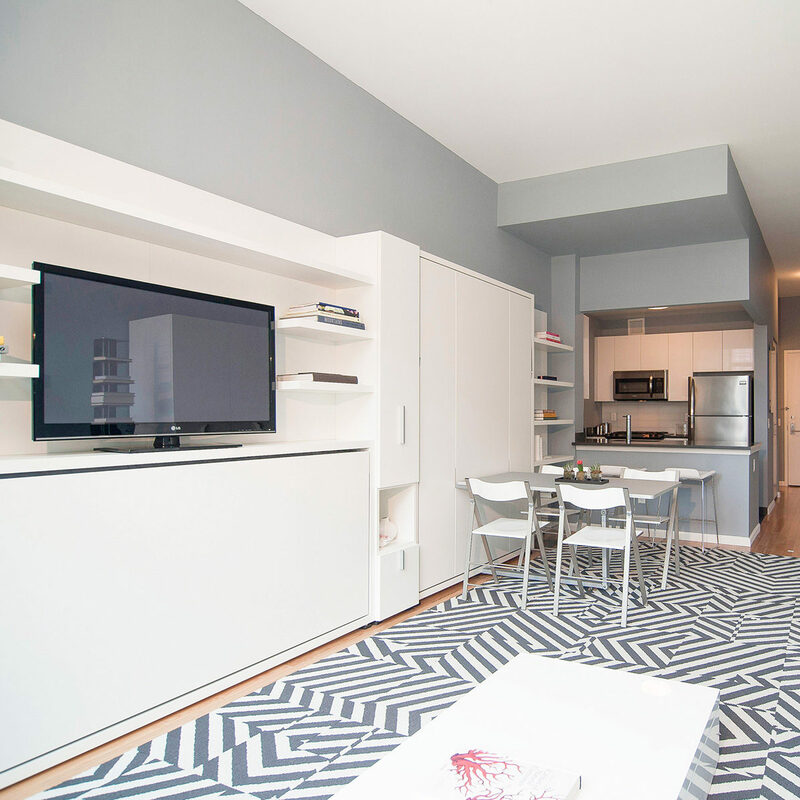 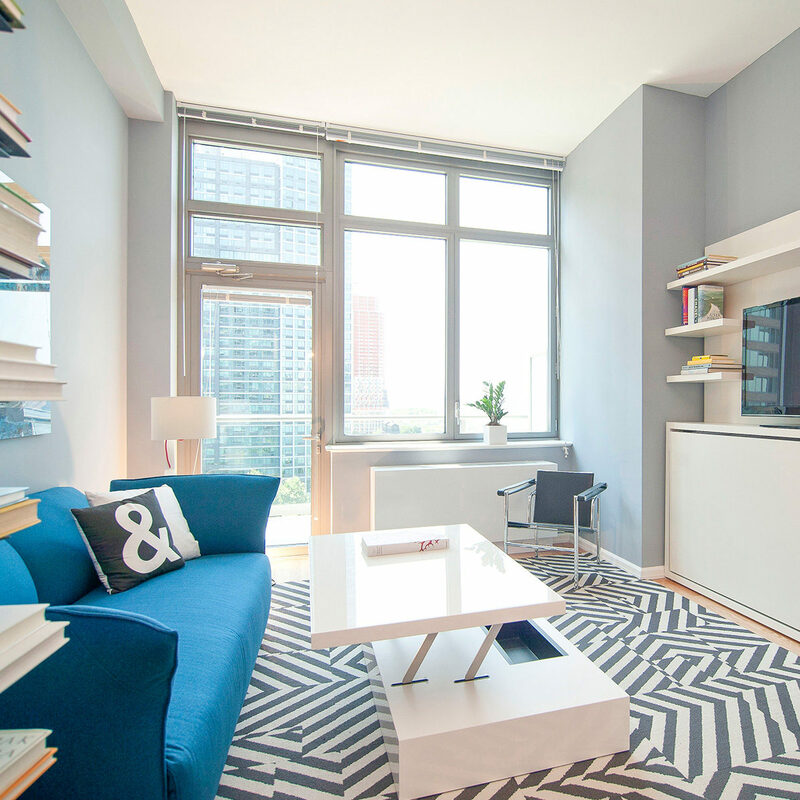 TF Cornerstone designed two bright Long Island City condo apartments complete with Resource Furniture, designed for young professionals that need multifunctional, maximized spaces. 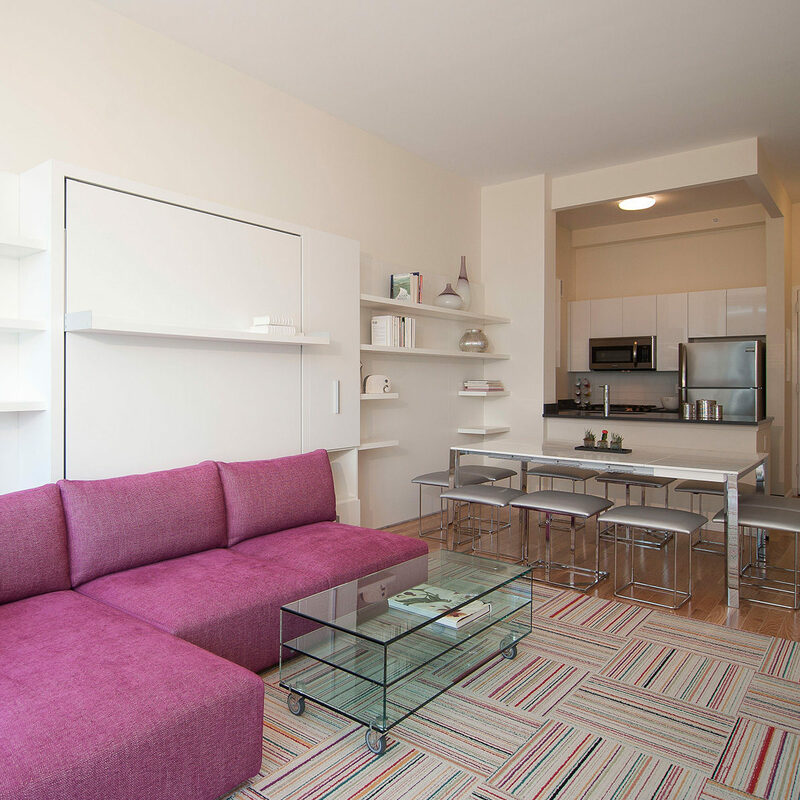 The first studio apartment was designed with a Poppi twin bed system complete with shelving with a TV unit, Flat expanding coffee table that turns into a work space, Ulisse Dining wall bed system that functions as both a dining table and a queen size bed, Pocket Chairs and a Nest sofa. 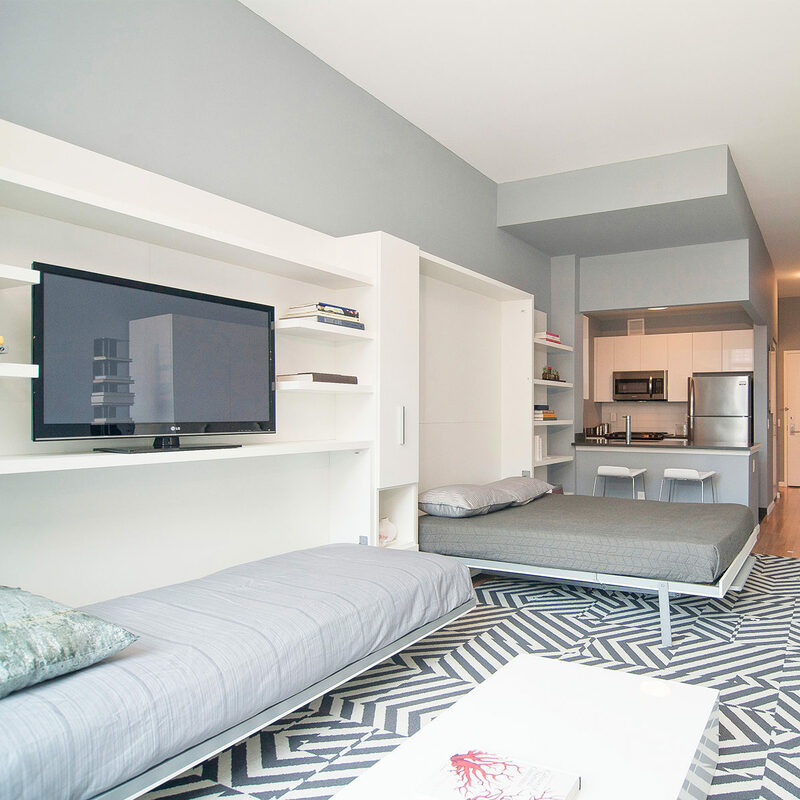 The second Long Island City condo is decked out with a Swing wall bed system with a sofa on the front and a Como Basso coffee table that fits perfectly under the Swing when the bed is in the down position.